Winter is typically not a time when most people think about gardening. However, there are many types of plants that can be started in the winter so they are ready to plant in a garden come spring. 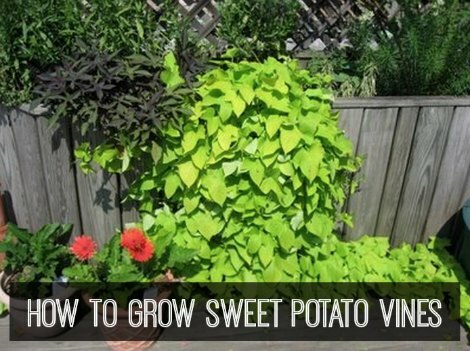 Seeds are not needed if you want to grow things like sweet potato vines. The key to growing sweet potato vines that you start in winter is a great way to ensure you have a crop that will be ready for planting by spring. You only need to determine how to want to grow your potatoes indoors as there are a few options available. Plan on planting outdoors by at least early May. Sweet potato vines need to have a root system established before being planted in your garden. A jar offers a great way to sprout roots. However, a small dirt planter can also be used. The option will depend on a need or personal preference.